Today, we will tell you – how to link your aadhaar card online with Bank of Baroda saving account. As you know that, it is mandatory for all bank account holders to link their aadhaar card with bank account before 31 March 2018, otherwise you will not be able to make any kind of transaction from your bank account. To avoid any interruption in banking, link aadhaar card with bank account as soon as possible. Bank of Baroda is one of the largest public sector bank in the country. If you are a bank of Baroda customer and have not linked aadhaar yet then follow below step by step online process. 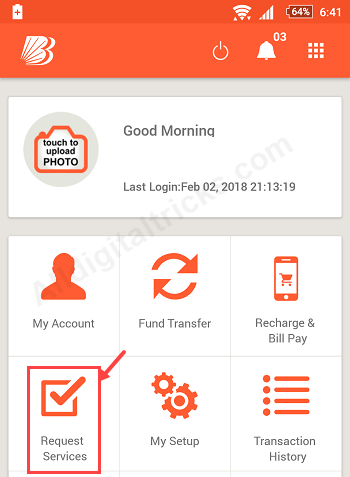 Bank of Baroda’s mobile banking application M connect plus let’s you easily link aadhaar card with your account. Update your M connect plus before proceed. Before you start this, keep your Aadhaar Number ready and also keep your aadhaar registered mobile number to receive OTP. 1: First of all you have to login to M Connect plus. 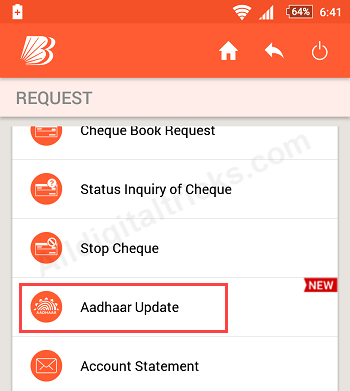 3: In the next screen you have to tap on Aadhaar Update. 4: Now on the next screen, tap on I Agree. 5: Now you have to enter your 12-digit Aadhaar number, type number again to confirm. 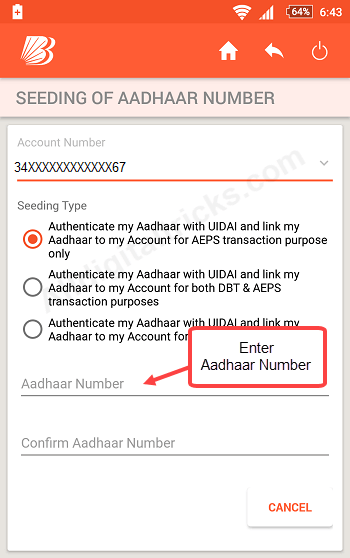 6: Now you will receive One Time password on your aadhaar registered mobile number, enter this OTP in next screen. As soon as OTP is entered, your aadhaar linking request will be sent. It may take some days to link aadhaar with bank account. You can also check whether my account linked with aadhaar or not on M connect plus. 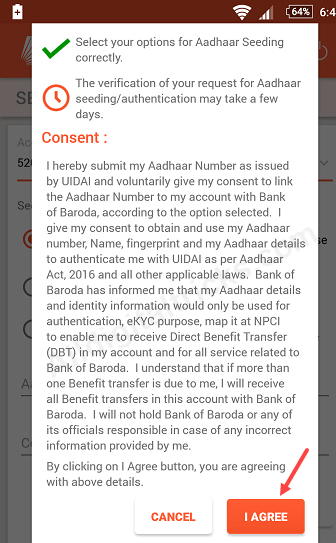 So by following this online process Bank of Baroda customers can now link their Aadhaar card to bank account. If you are facing any issue, then visit your BOB branch and submit physical aadhaar copy.